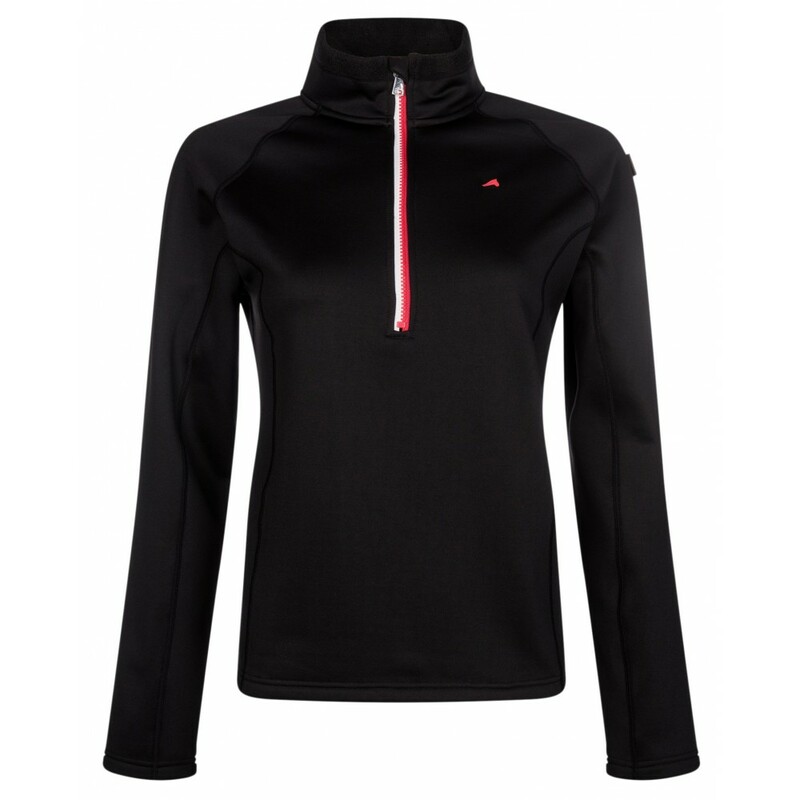 It is made with a sweat-wicking technology, but doesn't compromise on warmth. 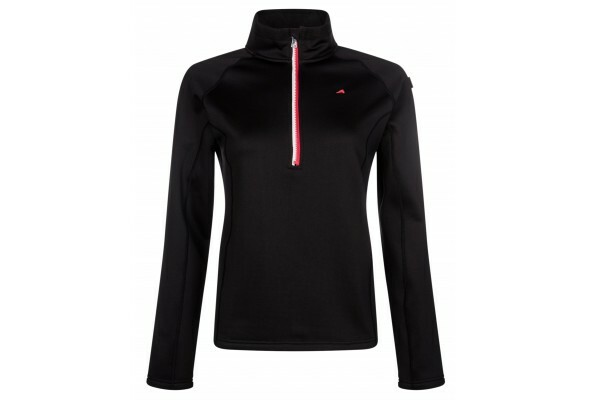 The inner part of the shirt has a brushed fabric, allowing the body to maintain heat during the winter. Thick but lightweight. Fast drying. Two-tone Blockteeth zipper in the collar with chin guard. High turtleneck. Mesh inserts on top of back panel. Fancy raglan sleeves and dividing seams.